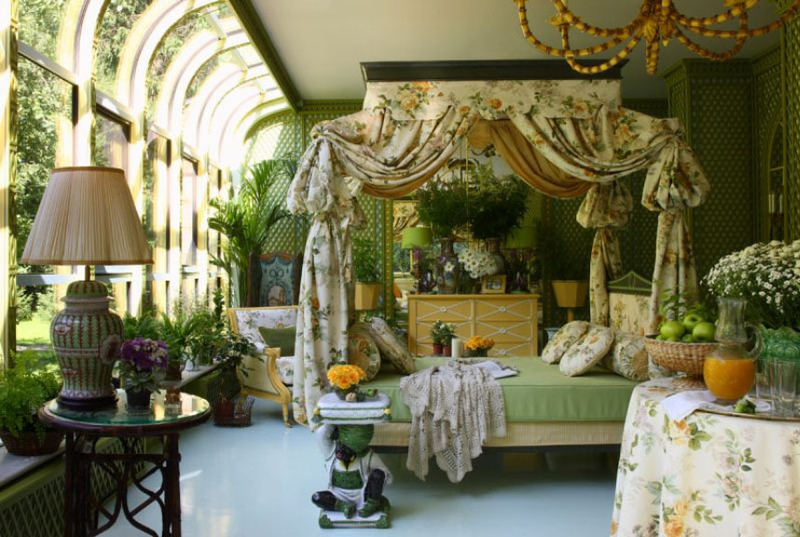 This elegant conservatory designed by Russian interior designer Kirill Istomin has a green palette that makes this a natural winter garden. The richness of the traditional interior decoration with a four poster daybed as the central focus of the room creates a warm and cozy atmosphere. 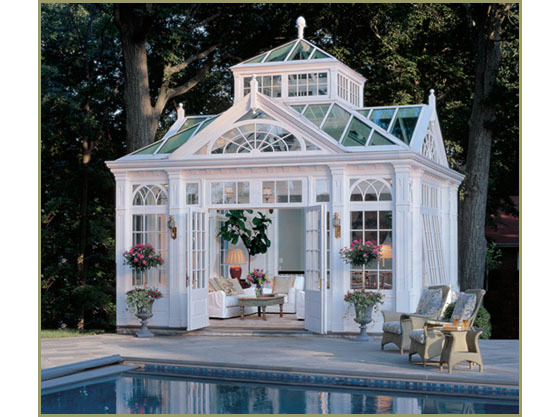 The custom built conservatories from Tanglewood Conservatories are adapted for the American climates and architecture. 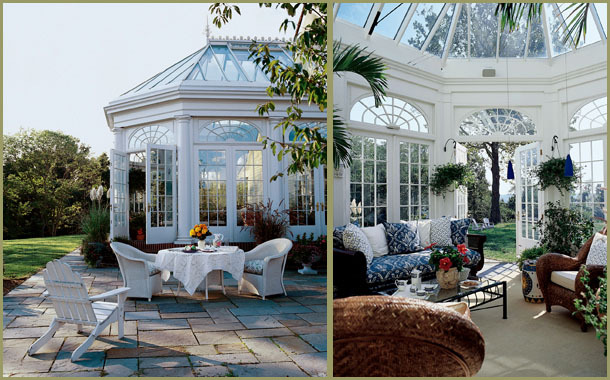 From poolside retreat to classic sunrooms, these conservatories are designed to live harmoniously with the landscape.